Naomi Watts: the cool face of Cool Harvest. As the sun begins to poke its friendly head out from the clouds once more and the air loses its characteristic nip (finally!) I almost always find myself drinking more white wine than red. And while I still enjoy a glass of the rouge, a crisp blanc goes a long way to quenching an unending thirst garnered from long days lazing about in the heat. 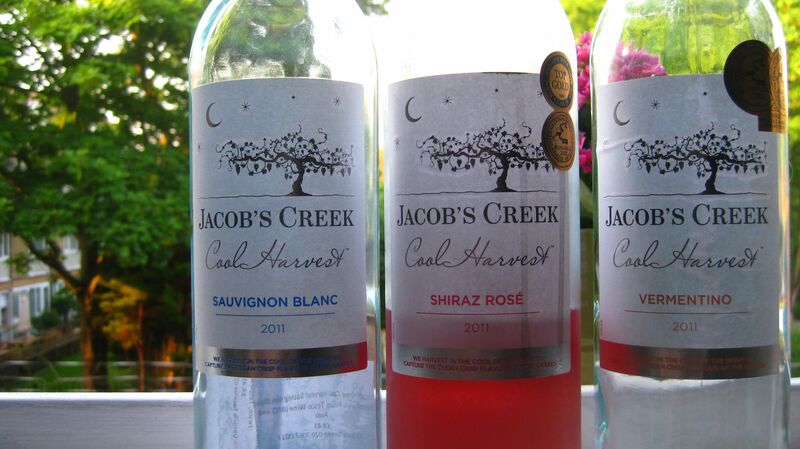 Recently, I tested out the new Cool Harvest range from Jacob’s Creek. The wines – which include a Shiraz Rosé, Vermentino, Sauvignon Blanc and sparkling Cuvée Sauvignon Blanc – were originally released in Australia when that country was moving into its spring/summer season last September. Heading up the launch was the effervescently stunning Naomi Watts – with whom a lucky winner recently went on a picnic here in London, all for “liking” the company’s Facebook page. Ah, the power of social media! The idea behind the wines reminds me a wee bit of the Canadian ice wine practice – though, this one is done at much warmer temperatures than the below freezing climes the ice wine grapes are picked at. The Cool Harvest vintage is made by choosing grapes which naturally grow in cooler climates in Australia (mostly South Australian regions such as Langhorne Creek, Adelaide Hills and Padthaway), before picking them at the coolest time of the night and fermenting them at very low temperatures. A slight bit of carbonation is added at the end to keep them even crisper – something I didn’t realise at first and which made me question why on earth my Sauvignon Blanc had bubbles! The wines are also much lower in alcohol than what we’re becoming used to seeing on the shelves – at a range of 9.5% to 11%, they’re actually quite a relief from the super strength whites that I find give me a horrid headache the next day (something I rarely experience with reds of the same ABV). The company says it wanted to create a bright, crisp and exceedingly refreshing drink after hearing back from consumers saying that was what they were after in a white or rosé wine. My favourite of the three I tried (see photo above) was the Vermentino. This is not a grape I can say I am that familiar with. This is normally found in Italian wine and it had hints of freshly squeezed lemon, honey, acacia flowers and pineapples. The slight sparkle did oomph up the crispy bite and it definitely went the quickest. The Sauvignon Blanc, meanwhile, was enjoyable but nothing to write home about from my perspective, though I did like the hints of passionfruit on the palate. Finally, the Shiraz Rosé was probably the biggest surprise for me. I rarely drink rosés finding them sickly sweet and without any substance. And, while this wasn’t dry enough for my taste, it did provide a lovely, rich fresh strawberry flavour on the aftertaste that made me want to take sip after sip. It was like eating a bunch of boozy strawberries (like when you put them in Champers and they absorb the bubbles). I would love to experiment with this by adding it and strawberries to a gelatine and making a tasty jelly. Or to pair it with a strawberry, balsamic and spinach salad, which I think would perfectly offset the sweetness. But, unfortunately for this exact second, I’ve drunk it all! 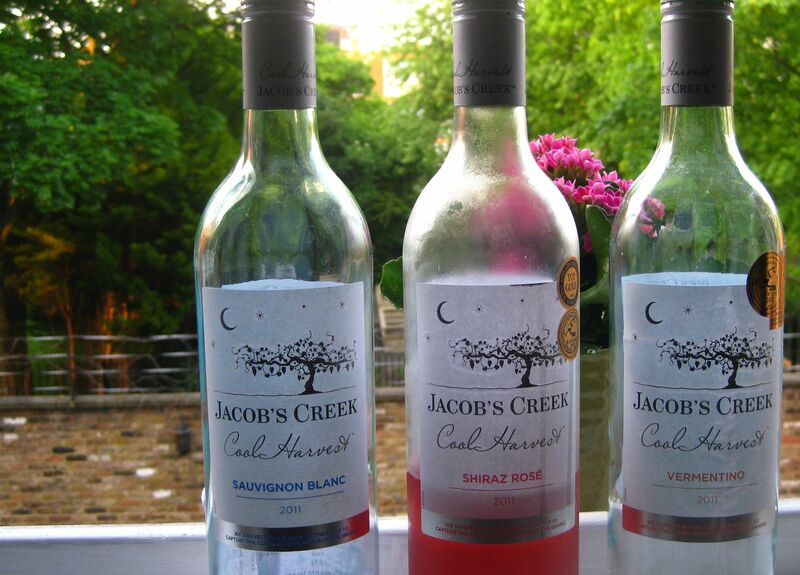 Jacob’s Creek Cool Harvest wines are available at Tesco, Ocado and Sainsbury’s for £8.49.